Its been a roller-coaster month (the entire Sep-2016), if you understand and believe in astrology you may well know the reason why. There are couple of eclipses and then there is the Mercury retrograde. Mercury retrograde started around in the month of Aug-30th and it was straight by around Sep-22-25th-2016. If there is a Mercury retrograde we need to be prepared to face any sort of equipment damage, equipment breakdown, downtime, loss of data, hard-disk corruption and so on. And coincidentally we can see there are lot of Samsung's exploding Galaxy Note 7s and exploding Samsung Washing-machine incidents. Strangely I too had an issue with the entire The TOFFEE Project website (on 25-Sep-2016). Seems there are couple of Inmotionhosting servers are down. 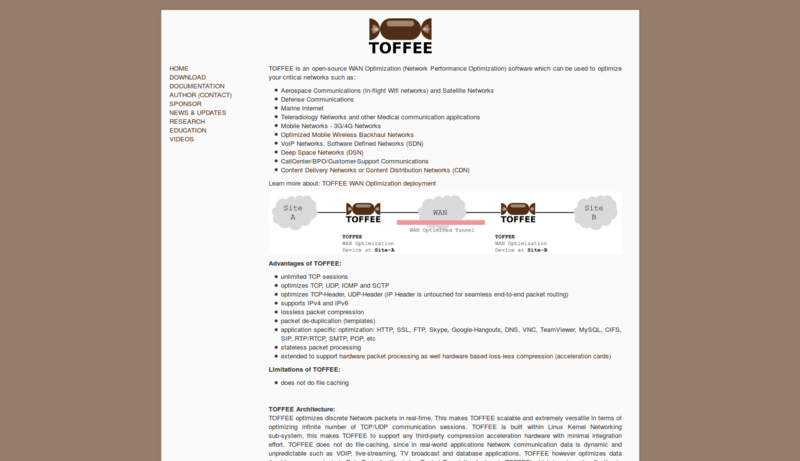 And one of the server includes The TOFFEE Project website hosted server. I was in touch with the Inmotionhosting team trying to resolve the same. I found a unique issue that all my website files are intact and the Joomla database. But the Joomla database tables are completely wiped out and missing. Besides there is also a sort of upgrade going on in their servers. Once I communicated with them they requested me to authorize so that they can restore the database from their existing backups. They informed me that they take backups at specific intervals. But no one is sure if that includes recent periodic changes I did in the website. Luckily I have the most recent backup of the entire website. And just couple of days before this downtime I did couple of minor changes and I forgot to take the full site backup after this change. Luckily this change is trivial. So I requested them to ignore my request. And I gone ahead and restored the Joomla database myself from my own snapshot/backup which I had it in my NAS. From that moment I decided I am done with Joomla. 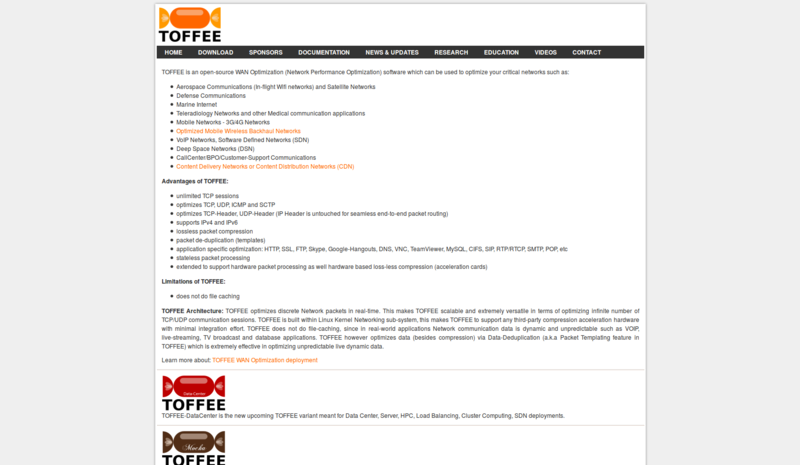 I need to move away from Joomla to non-Joomla The TOFFEE Project website. 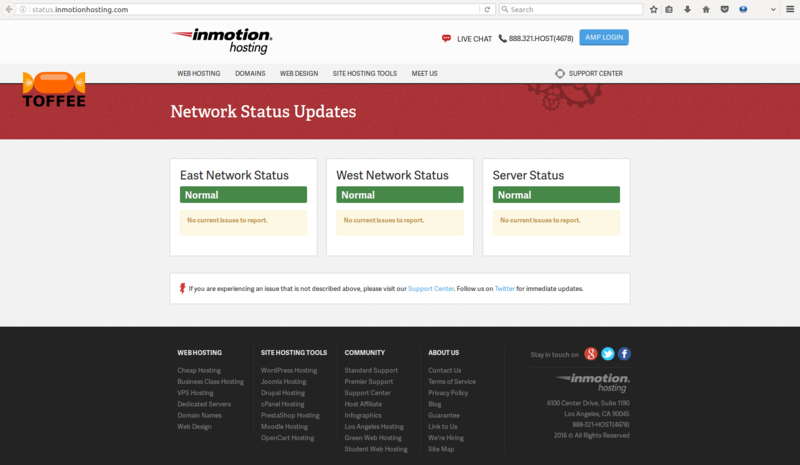 And in case if you guys are using Inmotionhosting hosting, then at any given point in time they have this great page http://status.inmotionhosting.com. This shows the live status of the Inmotionhosting. If there is any network or server issue they will list here. And before you contact their customer support you can once check the status of your hosted server here. In most cases they may be well aware of this situation/issue and may display over here. Moving away from Joomla: The site on that day is completely down for around 12-hours. Since I am anyway thinking about building my own CDN, this incident is a great learning curve. Joomla is great in terms of managing small to medium website(s). But since Joomla manages your content in the database it is an added stress to the server for each page request. And if there is an issue with the database, the site will completely vanish in a blink of an eye. As it happened in my case too. And during this time it will show a nasty mysql connect issue error which looks embarrassing and ugly. And this happens if there is excess load on the server or the database engine. Besides it is also cumbersome in Joomla managing additional components such as customized tables, scripts, frames, etc. There are workarounds, but it is often inflexible, redundant and cumbersome. And this is the case happened to me while I was inserting Google Adsense ADs. The ADs are appearing out of the article boundary in smart-phones and tabs especially in the portrait mode. I got a warning from the Google Adsense team about it. But I was completely clueless how to solve this weired issue in Joomla. Luckily I found a solution that there are these Responsive ADs which addresses this problem. Finally after I did changes things started looking better. Apart from this there are also issues in case if you are looking for any extensive customization in terms of managing your article categories, etc. Not that they are impossible in Joomla, but they are tricky to do so and you need to repeat these steps all over again for each article/category. Joomla is troublesome when you are building your own CDN too. Since you cannot extensively control the dynamic links/resources/etc. However if you purchase third-party CDN services, by installing Joomla extensions/plug-ins you can deploy over a CDN. But it is still tricky and challenging. In my case it is out of question. So this is also one of the reasons I took a decision to move away from Joomla and build my own PHP-based website from scratch. While this transition I have also changed the Logo and the theme from Brown to vibrant Orange. With this change the website looks spacious, dynamic, vibrant, and the orange theme allows the website links stand out unlike the old brown theme links. Since it is entirely custom written website it is easy in future to write further automated scripts to spread the website (contents/resources) on a custom built CDN infrastructure. We can load-share, redirect/point images/resources to different dedicated CDN node(s), if the main website is facing glitches, we can redirect to different CDN node(s). We can host multiple CDN nodes on multiple web-hosting provider servers. We can even modify the DNS-entry to point to a different hosting server whenever it is needed or if the main site (hosting server) is down.